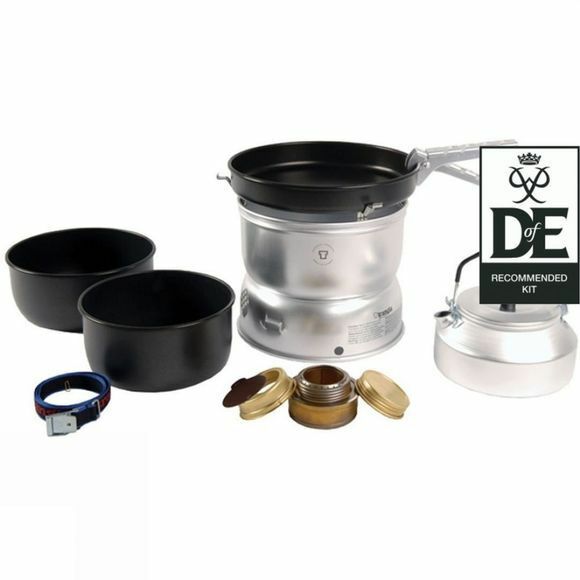 The Trangia 25-6 Spirit Burner Stove with Non-Stick Pans and Kettle is suitable for groups of 3-4 people.They make excellent family camping stoves with large pans and a bigger kettle. The non-stick coating gives the ideal surface for general cooking or frying, and requires little or no cooking fat or oil. It also makes washing up easier, because nothing sticks. Non-stick is slightly more susceptible to scratches and abrasion, so use only wooden or plastic utensils. Perfect for those who want fuss-free eating and easy washing up.